Not only is the user experience seamless, it is filled with *active* niche communities. The keywords here are active and niche. Activity is good because it means that people are actually using the network. Instagram currently has 500 million monthly active users and 60 million photos are uploaded to Instagram every day. And engagement rates on Instagram are 15 times higher than Facebook and 20 time higher than Twitter. In simpler terms, people are posting photos, scrolling through photos, they are liking, they are commenting and they are engaged. This is what social is all about. Niche communities are a thing of wonder for small businesses because you can identify and engage with your potential and current customer base. Niche communities are hard to come about, but when you find them and contribute to them in a meaningful way, the benefits are parallel to none. What kind of business should be on Instagram? 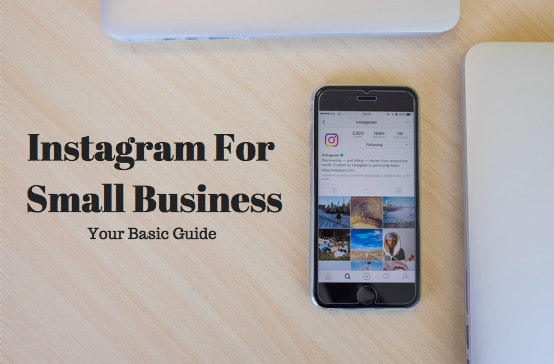 Instagram is best suited for any business that is local and/or has something visual to share. While I’m not ruling out businesses who don’t have products or a place of business that customers frequent, I think the community lends itself best for those types of businesses. Of course there are creative ways to engage your customers if you are a service business, like a plumber, but your sometimes limited time and/or resources may be best invested somewhere like Yelp, PPC or SEO. On any network, the best way to grow your following ( this means potential customers and current customers) is to be active and engaged yourself. The first step is to post photos that fit the Instagram style. The businesses who do the best on Instagram follow suit. They fit in. They mimic and act like their customers. This means they post in the style of their customers. Often times, this is lifestyle focused. Think real life, even if that is staged a bit. Esthetics matters here. The best photos are those you take yourself or someone you hire (we can help you here). If you can’t take them yourself, the next best would be to use a service that sources Instagram style photos. I personally like Stocksy and Twenty20 as the photos are not overly stock looking and fit the Instagram style and vibe. Once you have your content calendar created the next step is to engage with those who fit your customer base and/or have checked in or tagged you on Instagram. Keep this up regularly and add to the conversation and you are sure to grow naturally. Beyond your feed, Instagram also has the ability to add live video and Instagram stories that last 24 hours. This is one of the best ways to use Instagram and is a way to link and direct traffic within your account. To unlock this feature you need to have 10,000 or more followers. Even if you don’t have 10,000 or more followers, Instagram stories is a great way to share real life updates in real time and not worry about the production as much. Since the post deletes after 24 hours, it is a fun way to engage with sales and things that you may not feel comfortable posting for the world to see forever, but for those to see right now. I have also noticed that Instagram stories get more engagement than regular posts if done correctly. When you use Instagram as a business, you have access to the Instagram Insights panel, which provides a ton of insight. It shows you growth, reach, views, and website clicks. This is a great way to measure what you are doing. Another thing to look at is followers, engagement and comments. The more people comment, the more activity you get, the more your photos will get seen. When it comes down to it, every relies on great content. This is true with Instagram and this is true for all of your content marketing efforts. Are you using Instagram? I’d love to see what you are up to. Comment below with your account.